Once upon a time, Thanksgiving was easy. It was a celebration of the harvest, an ingathering of the family, a time of prayer and reflection, a feast to be remembered all year long. Today, most people do not have their own harvests to bring in. Family members are flung to the far corners of the globe. Those who do make it around the family table bow their heads and wonder what to say. What prayer is just right for the Christians, Jews, Buddhists and Atheists that may have gathered around the table together? And the meal… well, it can become a point of contention for the vegans, the vegetarians, the macrobiotic eaters, those on low-carb diets, family members with food allergies…. the list goes on. Sometimes it just feels easier to stay at home with close friends and make foods that are familiar and comfortable. There’s no doubt times have changed. And, I must say, it makes me a little sad. I believe that we all can try a little harder to bring tradition back into our lives, to pull together family at the holidays, to pray in a way that honors all paths, and to prepare an amazing meal that accommodates all needs. This is not the Appalachia (or America) of yesterday, but is the one that I wish for as a tomorrow. I hope to do my part to make it happen. How about you? My very first cookbook was the classic vegetarian tome “Laurel’s Kitchen.” Though the recipes opened my eyes to the wonders of vegetarian cooking, it was the prefix to the book that changed my life. 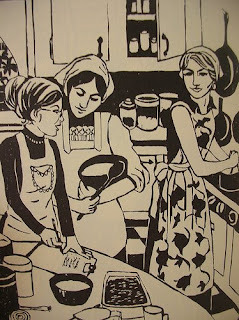 The introduction tells the simple story of friendship between women, the value of home cooking, and women’s history as “keepers of the keys.” Laurel Robertson and her co-author Carol Flinders recall a time when women held the keys to the food storehouses and pantries. In this esteemed position, women were responsible for wisely using their food resources and preparing nourishing meals for themselves and their loved ones. The fate of the family’s health lay squarely in her hands. The story of women’s relationship to food goes even further back in history. Many anthropologists believe that women were the first agriculturalists, called to the duty of planting while men were away from home hunting. As they then gathered the harvests, women sang songs of praise to the land, to the sun, to the rain, and to the Creator behind these miracles. Thus women became tied to the land and food preparation forever. Unfortunately, some of us have forgotten the importance of this role. The health of our bodies and that of our families and society show the loss. And many women choose not to cook, have forgotten how or never learned in the first place. It is time to heal the rift and take back the sacred role as keepers of the keys. It is time to come back to the kitchen. 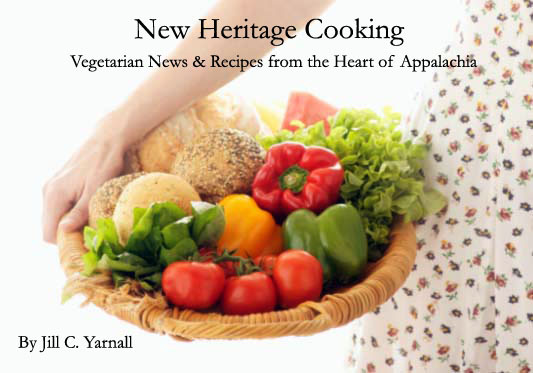 like this one, along with fantastic recipes. Today, the good folks at Vegan Digest contacted me about using some of my reviews from this blog on their site. Of course I said yes! What an honor!